An early candidate for Chart Of The Day: EUR vs. GBP. 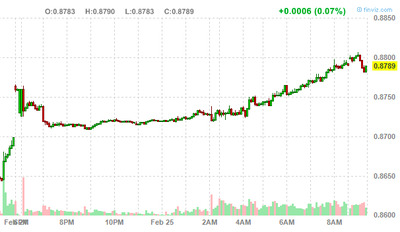 The euro is surging against the pound. The euro is loving the election results in Italy, which appear to support a government of stability and reform. The pound is getting destroyed on the downgrade Friday. Combo: Euro killing the pound.